Join the Linux Professional Institute Development Community and earn your LPIC-2 Linux Engineer certification for free. 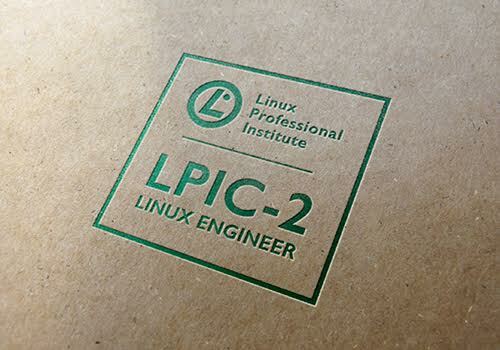 The Linux Professional Institute (LPI) has updated the objectives for LPIC-2 and is offering free beta exams to a limited number of qualified candidates. The Linux Professional Institute (LPI) is organizing select events worldwide that offer a rare opportunity for eligible LPIC-1 certificate holders to be among the first to take the updated 201 and 202 beta exams, join the LPI Exam Development Community, and advance their professional credentials. LPI is committed to the development of global standards and certifications in Linux and open source innovation. A community of Linux professionals, volunteers, vendors, and educators design the LPI Certification Program that unites the requirements of both IT professionals and the organizations that would employ them. To achieve this goal LPI utilizes an open, rigorous, and consultative development process that uses both volunteer and hired resources. The LPI development process is widely recognized and endorsed by Fortune 500 companies, and has met the strict requirements of independent certification authorities. Beta exams are organized in the English language only, and will be delivered as paper based tests (PBT). Both exams, 201 and 202, each take 90 minutes and contain 60 questions. They are offered free of charge. Passing the exams for 201 and 202 in conjunction with an active LPIC-1 certification leads to the LPIC-2 Linux Engineer certification. In addition, beta candidates will be asked to answer a short survey and provide feedback on the exam content. For this purpose, LPI Exam Development staff may visit beta exam labs to collect direct feedback from the candidates. Candidates should be aware that beta exams cover the new version of the objectives which will contain new exam material. Their passed exams are counted as regular exams and can be used to achieve a certification. Failed exams can be deleted from the candidate’s profile on their request. Candidates can find updated exam objectives for the new LPIC-2 201 and 202 (Version 4.5) on the LPI Wiki Resources website: https://wiki.lpi.org/wiki/LPIC-2_Objectives_V4.5. The detailed list of changes is available at: https://wiki.lpi.org/wiki/LPIC-2_Summary_Version_4.0_To_4.5. LPI is the global certification standard and career support organization for open source professionals. With more than 500,000 exams delivered, it's the world's first and largest vendor-neutral Linux and open source certification body. LPI has certified professionals in 181 countries, delivers exams in 9 languages, and has over 200 training partners. We are committed to providing the IT community with certifications of the highest quality, relevance, and accuracy. This commitment requires that our exam development process be highly detailed, participatory, and consultative. Join the LPI community and get involved. Connect with us on Facebook, or join our Exam Development Community of volunteers, collaborating on certifications, exam development, and current technologies - http://list.lpi.org/mailman/listinfo/lpi-examdev. For additional information, please visit our website at http://www.lpi.org.